Likes: Training with comrades, Leading, Trying new things, teaching others, helping women. Personalities: Loki is known for his gentlemanly composure, honest to a fault nature & unshakable will, and a friendly willingness to forgive others. he typically conducts himself in a calm, polite manner unless suitably angered, in which case he will lash out with a thirst of blood level of savagery. Loki is also a very kind-hearted person, and can sympathize with others, these traits are what caused most of the people to fall in love with him. History: Memories of his past as a child, in regards to the death of his mother and father recur within brief and serves as the catalyst for his seemingly indifferent exterior and seamless interior. The mysterious and skilled man who is later found to be Dark the Ninja the 3rd, is the one that raised Loki to be the skilled ninja he is, it also becomes part of a reminiscently bitter past, the realization of the cause of his own father and mother's death was more than enough to push the young boy to the edge. He had grown to respect this teacher this mentor of his who taught Loki how to use a weapon in the first place. He exposed him to the world of vigorous training, and he also was responsible for how he treated women. His mentor is the one who told him that females can be a scary creature. Thus, Loki has to watch what he says to them. One day Loki found Dark the 3rd bleeding to death in an alley, sometimes within the same year Loki is found by a man named Jack Phoenix who had a management position in Black Phoenix. He took care of Loki for 3 to 4 years. Jack is responsible for Loki becoming a member of Black Phoenix. Later on he was on mission assigned from Black Phoenix. Loki Breaker is considered one of the more formidable Ninjas throughout the clan. Loki is tasked by Black Phoenix to kill the genetically unstable race the Kimizami, Taleek. However, he fails to kill him off and retreats when the Zami guards arrive. Later, he is assigned for the same duty, and though he receives the opportunity, he doesn't kill him. This is because of what Dark the 3rd told him before he passed away. He taught him that there was more to life than killing. 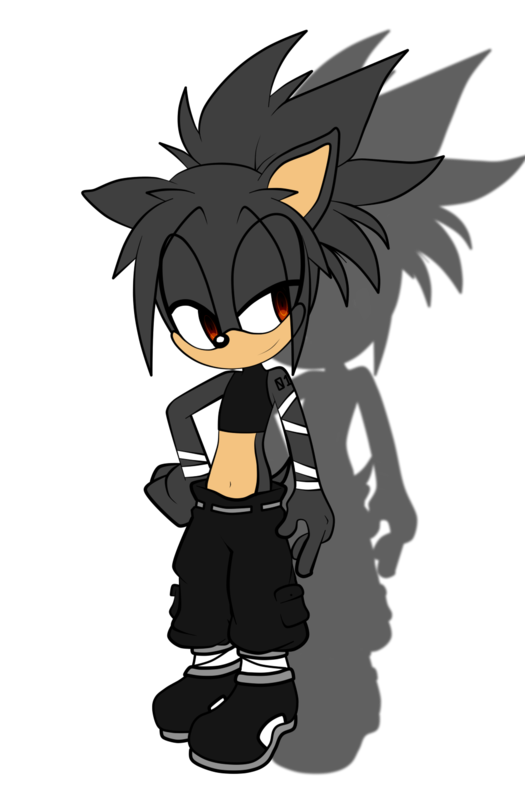 Loki joins up with his comrades on their warfare mission, until he finds out the higher ups is not only using the Black Phoenix, but they are shadow demons. Zami and Ironton are fighting in a war while the Shadow Demons invade in the confusion and Loki faces one of the Kimizamis, but at the last minute decides to save his comrades instead of taking a life of a Kimizami. Though time passes Loki has been learning new styles and even the way of samurai by a great elder dragon of the east. He been though tough to hell times of training mixing Ninja and samurai ways, the clans didn’t approve of this and taken away his title as Dark the Ninja and given the new title of Ex Ninja. After mastering the way of the samurai he head to a floating island to teach the young dragon’s swordsmanship and tactician. Normally people can’t travel to their island but seeing the elder dragon’s knowns of one Loki Past Masters, They let him in. Soon after Loki left the island to find other talent people to train and do some side jobs, if get bored. These side jobs are normally bounty hunting and body guard. But out of the blue, an organization known as Reapers requested for his skills in an upcoming battle in the multiverses of keeping the balance in all worlds of good or evil. Intimidation: It is widely known that Loki has the ability to instill fear in others, even the people that know him best are intimidated by him. Expert Inquisitor: Loki is adept in the use of interrogation techniques, employing anything from law enforcement methods to torture. Expert Acrobat: Proficient in gymnastics and acrobatics, passing normal life ability. Master Martial Artist: Loki is one of the finest animal combatants Turbine has ever known. Weapon Master: Through his martial arts training, he has become an expert on virtually all types of weaponry. He was trained and became proficient in all arms. He soon learned expanded melee weapon techniques and he has learned expanded weapon/device sciences thanks to Quayshaun. He still practices during his combat sessions to keep his skills intact, though he prefers unarmed combat. Master of Stealth: His Ninjutsu training has made him a master at stealth capable of breaching high security facilities with ease and without being detected. Intellect: Loki is a brilliant, virtually peerless, detective, strategist, tactician, and commander he often uses cunning and planning to outwit his foes, rather than simply "out-fighting" them. Astro Pyrokinesis:Loki can manipulate cosmic flames that are given off from comets, meteors, asteroids, stars, planets, nebulas, quasars, suns, and solar winds. These mighty flames can burn in space without the need of the consumption of oxygen, and the intensity can be so high, they can completely vaporize any matter without leaving byproducts such as ash. Loki can select what he wants to burn and what not to and one of his key ability for taken out foes without any evidences. This ability was given to him after the explosion of the Kimizami planet and train by the elder dragon of the east. He looks cool this way too xp. Why not being a samurai in disguise ? Like Ninja as second job. Many ninja dressed themselves in samurai to stay unnoticeable. Some ninja even became Samurai afterwards.